This is my first “Arthur in Action” for 2016 and I would like you to consider it a ‘Cliff note’ summary of Vocal Awareness. 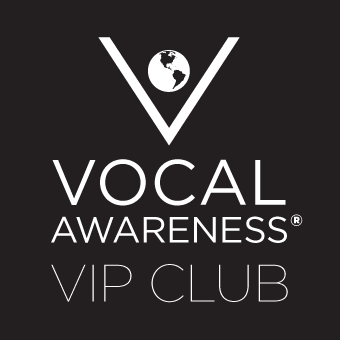 In a word Vocal Awareness teaches Empowerment Through Voice. This has been my message, my path, and my focus for over fifty years. Whether I am teaching how to be in Stature, teaching one of the 7 Rituals of Vocal Awareness, helping us to learn how to live in a Conscious Loving Breath (what I refer to as a CLB), or teaching us Visceral Language: How to Make Voice Visual, whatever it is I am teaching that my students come to Vocal Awareness to learn, Empowerment Through Voice is at the hub of it all. As we learn through Vocal Awareness what it truly takes to live in Communication Mastery, we learn how to live the best life that is possible for us—how to, as I am always saying, not merely be in charge of the message– but the messenger. When I say, It is not merely what you say, but how you say it. I’m also saying: That in choosing to live in this depthful awareness of, not only how one speaks, but how one communicates (both intra- and inter-personally), one is truly making claim for: Self-Empowerment. A singer by training, an artist in life, I often say, Our time here is not a ‘dress rehearsal’. We know of so many extraordinary disciplines from the beginning of recorded history that speak about ‘living in the moment’, whether it be meditation, other religious or spiritual practices, and/or physical disciplines such as martial arts. At a fundamental level they are all designed to maximize our moment, helping us to be our best. That is Vocal Awareness. In the mind/body/spirit consciousness that is fundamental to this Work, to the psychology/philosophy of Vocal Awareness, it is all about empowering ourselves in the moment. However, our Vocal Awareness moment is so vivid, so complexly rich–though, please note, not complicated—for when we are attuned to a Conscious Loving Breath, when we see every single thing we say on the virtual computer screen in our mind’s eye, when we are in the 6th Ritual of the Work: Paying Attention/Listening Deeply—both intra- and inter-personally—we learn to truly live in the moment. When we do so, life becomes like a hologram—it is always whole and, as I often say: In this form of empowerment, there is no ‘off switch’—as it is not merely in the discipline of what we learn to do, but in the exceptional recognition of what we are capable of being, that we truly can soar. Through the 7-Minutes-a-Day Vocal Awareness regimen, we learn not to be startled, or in fear, by the discovery of our own possibility—rather, we learn to embrace it. The Journey is never outward but always and only inward toward discovery of the Deeper Self–and the only way out is through. Enjoy Empowerment Through Voice. Claim your Voice. Claim your power. Claim your Self.